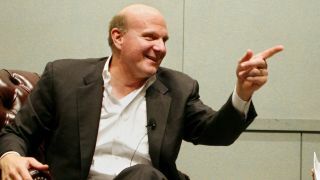 Steve Ballmer is retiring from his role as CEO of Microsoft within the next 12 months. The official stand-down date is yet to be announced as it's dependent on when Microsoft appoints a successor. "There is never a perfect time for this type of transition," Ballmer said in a statement. "But now is the right time." It's right because Microsoft has "an amazing Senior Leadership Team", he said, adding that "we need a CEO who will be here longer term for this new direction." Microsoft's new direction is its transformation into "a devices and services" company rather than the traditional software peddler of yore. Rather than divining a successor through a series of quests, the company's board of directors has appointed a special committee to find the perfect new CEO, with founder and ex-CEO Bill Gates getting involved. "As a member of the succession planning committee, I'll work closely with the other members of the board to identify a great new CEO," Gates explained. "We're fortunate to have Steve in his role until the new CEO assumes these duties." Bill Gates is still involved with Microsoft as Chairman of the Board. So it's nearly time to say so long to Steve. TechRadar, for one, will miss those bellowed keynote speeches and, boy, won't Elop look lonely at Nokia do's without his BFF at his side?